Welcome to my assignment webpage. Let's talk about the impossible burger. Impossible Foods was founded in 2011 by Patrick O. Brown, M.D., Ph.D. Impossible Burger cooks, smells and tastes like meat from cows, but is made directly from plants -- for people who love meat. It has the bioavailable protein, iron, and fat content of 80/20 ground beef from cows. 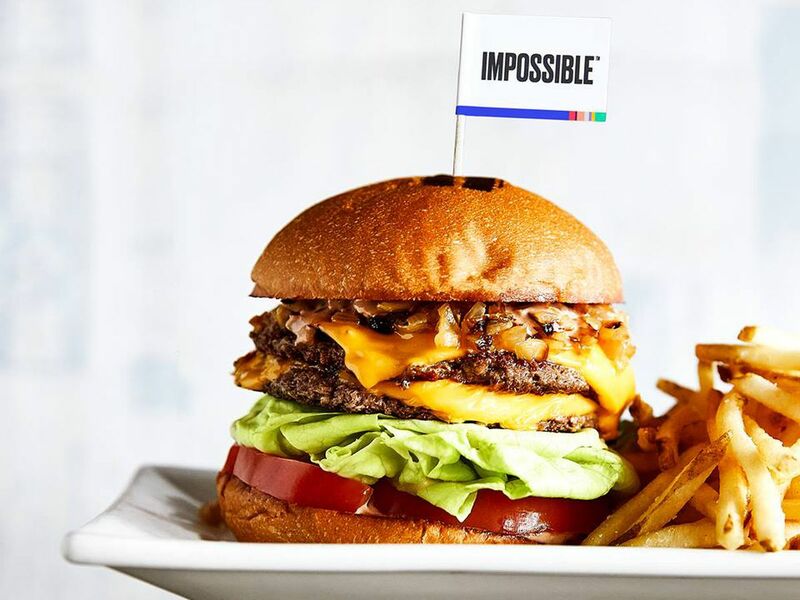 The Impossible Burger is available in over 5,000 restaurants in the United States, Hong Kong, and Macau. The Impossible Burger is coming to U.S. grocery stores in 2019. What are you waiting for? Go try it now.